Intercom is a customer communication platform with a suite of integrated products for every team—including sales, marketing, product, and support. Have targeted communication with customers on your website, inside apps, and by email. Attract, convert, close and delight customers with HubSpot’s complete set of marketing tools. HubSpot all-in-one marketing software helps more than 12,000 companies in 56 countries attract leads and convert them into customers. Why do developers choose Intercom? Why do you like Intercom? Why do developers choose HubSpot? 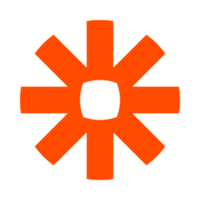 Why do you like HubSpot? What are the cons of using Intercom? What are the cons of using HubSpot? How much does Intercom cost? How much does HubSpot cost? What tools integrate with Intercom? What tools integrate with HubSpot? What are some alternatives to Intercom and HubSpot? Customer.io - Send email based on what people do (or don't do) on a web or mobile app. Vero - Enables engineering and marketing teams collaborate on designing and implementing emails using real-time customer data. 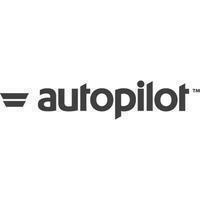 Combined with Segment and its own sets of integrations and capabilities, AutopilotHQ ended up being a very powerful tool for Product Marketing to use at SmartZip. Couple of years later, there certainly were some overlap with the features offered by Intercom 's engagement module , but our team kept on using this tool given the greater range of functionality / capabilities. All your customer communication in one place ! We love intercom.io, from customer management to automatic emails. Great wat to stay in touch with your users. Intercom powers both the email support, and support via the inline message window on the web. Custom events are sent from both the browser via click and Wistia video events, as well as from the Rails application, to give a complete view of user activity from within Intercom. Intercom let us segment the users based on trialling, purchased, and levels of engagement. I don't know what we would do without Intercom. It's the best tool I've ever found for knowing who your users are and establishing a bulletproof line of communication with them both outbound and inbound. Intercom popup for easy user interactions, displaying help messages. Static and event-based user context lets us send smart and targeted messages to users. We use hubspot for visitor tracking. Also, when visitors fill in a form on our site, the data usually lands in HubSpot. Full-lifecycle communications via email and in-app messaging, for batch and automated campaigns. Used by our clients to track what their users are doing, and for proactive support. Website analytics, lead management and marketing automation. Relación con los leads y clientes.